Hisense is bringing two 4K big screens to market, and both are powered by Android. 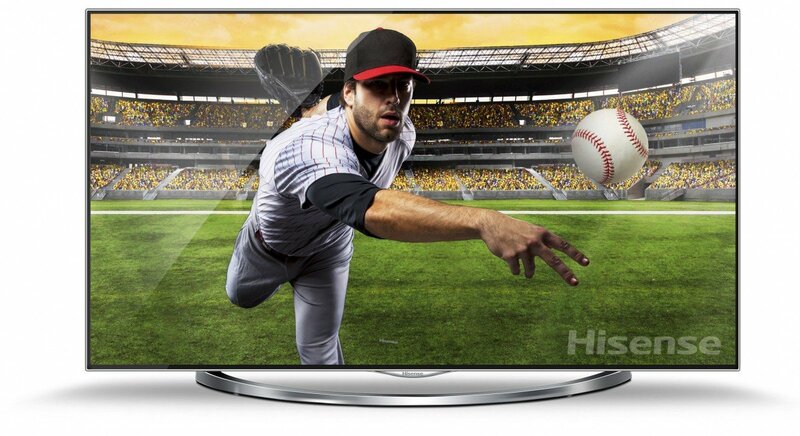 The H8c series will come in 50-inch, 55-inch and 60-inch models, while the H9 3D series will be 75 and 85-inches. Both series will be powered by Android (4.2 Jellybean) with Netflix, Vudu, Amazon Instant Video, Chrome, Pandora and YouTube installed natively. Full support from Google Play rounds out the software. Both models are scheduled to be available in Q3 2014. Physical specs include local dimming, UHD HDMI inputs. USB 3 support, AirBridge player and receiver ability, built in Wifi, and smart mouse and input controls. The H9 comes with Bluetooth 3D glasses, NFC and a smart remote that has voice and gesture controls built-in. We're going to swing by and have a look at what Hisense has to offer, and see if this is the "new" Android TV we've been waiting to see. In the meantime, the press release if after the break. Las Vegas, NV – January 6, 2014 — Rounding out the most comprehensive line of high-performing, attainable Ultra High Definition televisions on the market today, Hisense today unveiled the Hisense H8c series and Hisense H9 3D series at the 2014 Consumer Electronics Show (CES). The H9 will debut with 85-inch and 75-inch models and the H8c will be available in 65-inch, 55-inch and 50-inch models. Both series are powered by Android™ 4.2 and include SMART TV features such as Netflix, Vudu HD Movies, Amazon Instant Video, Pandora, Chrome™, YouTube™, and are Google Play™ certified. The H9 is navigable via its cutting-edge VIDAA user interface; comes with Bluetooth® 3D glasses, Ultra-LED (U-LED) technology for incredible color detail and local dimming, RF remote with NFC, and Smart Interaction capabilities including voice and gesture controls. UHD (3840 x 2160) native resolution; UltraSMR 480 (H9); UltraSMR 240 (H8c); Precise Local Dimming; Mega Dynamic Contrast Ratio; Android 4.2 base; VIDAA UI; HDMIx4 to support UHD inputs, USBx3to support UHD video play; AirBridge™ Digital Media Player and Receiver; Merlin™ Air Mouse and smart remote controls, built-in WiFi; Dolby Digital; DSP audio process; closed captioning; noise reduction; parental controls; sleep timer. The new UHD models will be available nationwide in Q3 2014. Both series will be on display at the Hisense booth 7243 during CES, January 7-10, 2014.